Learn how to properly plan your family estate with or without professional assistance. 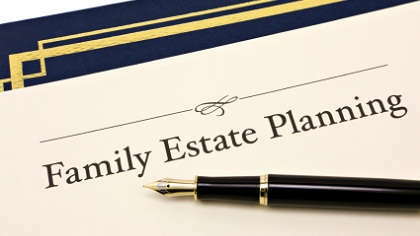 Here's a brief guide on how to start on your own family estate planning. Before coming up with a plan, classify your assets into categories and assign a value for each category. These categories include life insurance, investments, residence and savings. Asset inventory will make it easier for you organize and distribute your assets. Professional assistance is almost always needed when you're writing an estate plan. An estate plan team includes the attorney, trust officers, accountants and underwriters. The attorney will review and evaluate the plan formulated by the accountants, insurance writers and trust officers. Your need to review your plan on a regular basis as life, again, is constantly changing. These changes include marriage, childbirth, divorce, death in the family and changes in tax laws. You can ask your attorney to mark a certain date in a year to review your family estate plan. Writing a family estate plan will not only assure a smooth transition of assets but will definitely give you peace of mind, both financially and emotionally. What Do You Mean There Aren't Any Benefits? Solve Your Health Care Headaches With A PEO!